Snoopy's Grand Adventure - Wii U Just $18.42 Down From $40! You are here: Home / Great Deals / Amazon Deals / Snoopy’s Grand Adventure – Wii U Just $18.42 Down From $40! 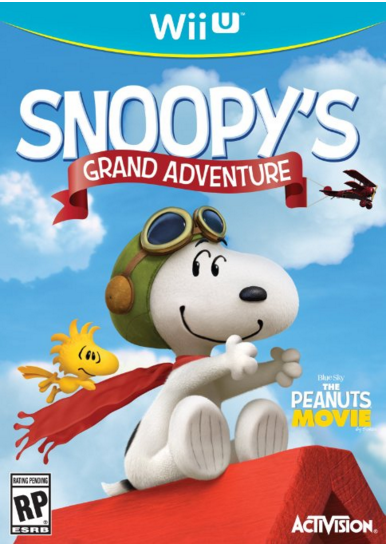 Snoopy’s Grand Adventure – Wii U Just $18.42 Down From $40! Here’s a fun Amazon deal. Snoopy’s Grand Adventure – Wii U is just $18.42 down from $40! Get yours now while it lasts! Lead Snoopy on a grand adventure through worlds full of imagination to help him find Charlie Brown and all of his friends! Play together: 2-player co-op mulitplayer, play as Snoopy and Woodstock at the same time! Easy and fun for all: Simple pick up and play controls! Collect items: Earn additional abilities and rewards as you play! Comic relief: Enjoy iconic Peanuts comic strips between levels!